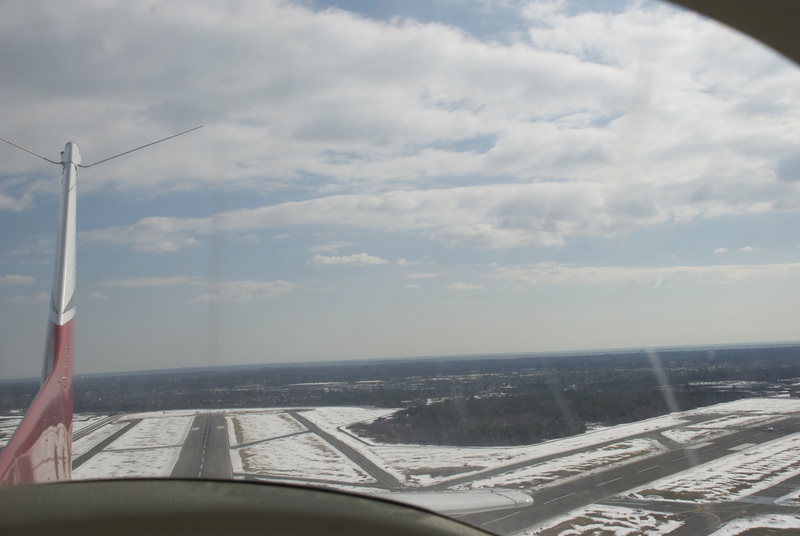 After the fiasco with the Tecnam Eaglet, my instructor didn’t want that lesson to be an entire waste of time so we hurried and jumped into a Cessna 152. My first time in this plane. It was more than an hour into the 2 hours I had booked my instructor. She was very nice and delayed her next lesson to give me some time in the air. This time the take off was no problem. And thanks to my backseat instructor last time, I was much more confident with the controls and instead of waiting for my instructor to explicitly say turn I just did it. We got the the practice area and started doing maneuvers right away with limited time. First, I did climbing turns and then descending turns. I have to admit I hardly remember this lesson. I was distracted by the new plane, thinking about what to do with Sport vs. PPL and then worried about getting back on time since we were delayed. My focus was on flying when in the airplane but now afterwards too much was going on to remember it clearly. Though, I do remember being a bit flustered because the amount of fingers between the dashboard and the horizon was different than in the 172. But glad it was a lesson I learned early, but still something I’m struggling with because it either seems too little or too much. This lesson also marked my first landing! (Well, sort of) I did land but my CFI was in control of the power during it so I could just focus on the ailerons, rudder and flare. I wasn’t too sure of what I was doing but the plane was straight on the runway, there was a little flare and it didn’t crash! My biggest problem with landings thus far is not looking down the runway. I have a bad habit of looking straight down, which I don’t recommend because looking straight down at the end is a bit terrifying. The main thing in this lesson is that I learned I liked the Cessna 152 and will continue training in this plane for the rest of my PPL. I also got to fly a bit and it had been almost 4 weeks since the last time I flew! I hope that doesn’t happen again!